Place de la Constitution 18, 1060 Bruselas, Belgica. The 2-star Hotel Continental in Brussels is ideally located in the heart of the capital, providing affordable accommodation with easy access to all that Brussels has to offer. In 1890, the Continental Hotel then called "the Hotel Providence" was the first established hotel in the district. 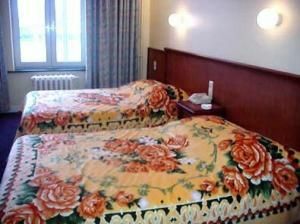 The hotel Continental was renovated in 2001 in order to offer you the best comfort possible. Proximidad a la estación, Centro ciudad, Proximidad al casco antiguo, Próximo al metro / tranvia. At the ground floor of the hotel, you will find the restaurant "Le Grand Ducal". A French cuisine and some world specialities made the restaurant's outstanding reputation. It is opened from 11.30 am until 23.30 pm. 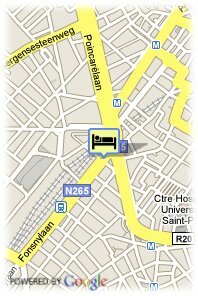 Hotel Continetal Brussels is located near the city centre ( 10 minute walk ), in front of the Midi trainstation with Thalys and Eurostar terminals. Subways and the old town are also close by. Within 2 km of the hotel you can find the famous Grand Place, the old market of Brussels, the King's palace and many opportunities for shopping. The European Parliament is situated at 4 km and the Expo centre at 8 km.